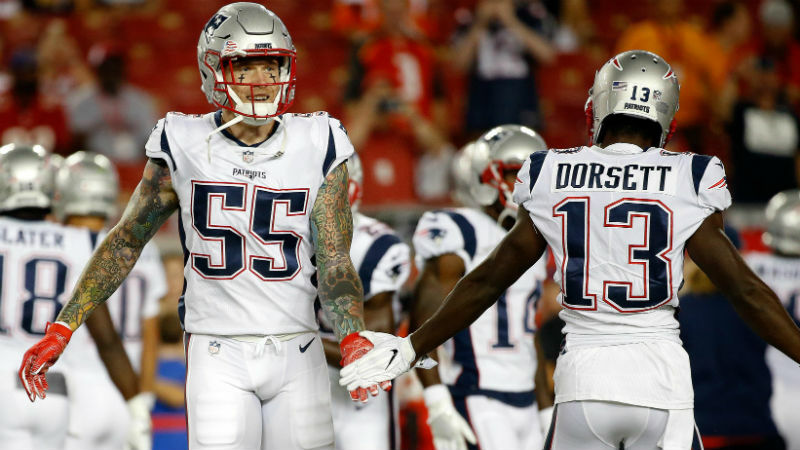 The Patriots announced on Tuesday that the team will part ways with DE Cassius Marsh just shy of three months after acquiring him from Seattle. The move is a surprising one, given that it came out of the blue and that New England paid so much to acquire him. Five days before Week 1, Bill Belichick shipped a fifth- and a seventh-round pick to the Seahawks to bring Marsh to Foxborough. A 6'4", rangy defensive end with pass-rushing ability and special-teams experience, the UCLA product seemed like he would fit right in along Matt Patricia's hybrid fronts. However, Marsh never really found a place along the defensive line, and his snap counts decreased as the season went on. He settled in at around 50-70% of the total snaps against the Buccaneers, Jets and Chargers, but was in on only two plays against Oakland and had gone three games without recording a tackle by the time he was released. He struggled setting the edge at only 245 pounds, and ceded playing time to bigger bodies like Trevor Reilly, Alan Branch, and Ricky Jean-Francois near the end of his tenure. He finished this stint with the Patriots having played in nine games (one start) and having recorded 19 total tackles, a sack, and a forced fumble. The Patriots signed fellow defensive lineman Eric Lee off the Bills' practice squad to fill Marsh's spot. It's not clear yet why Belichick decided to cut bait so quickly to acquire a nobody, but we'll most likely find out in a couple weeks if Lee works his way into the defensive line rotation. Meanwhile, New England will currently be without its fifth- and seventh-rounders in this year's draft.